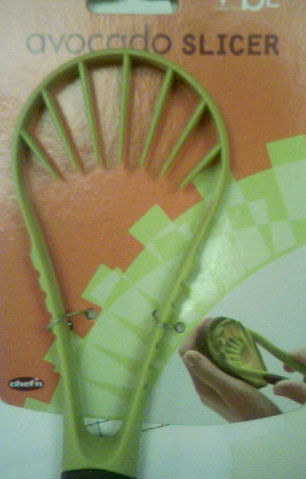 I picked up this avocado slicer at Target last week as a gift for Carlos, Japan Society Avocado Lover. I’m going to make him try it at lunch today and I’ll share the results. Stay tuned! This entry was posted on July 9, 2007 at 5:19 pm and is filed under *Mel, kitchenware. You can follow any responses to this entry through the RSS 2.0 feed. You can leave a response, or trackback from your own site. i def want a full report!